1. 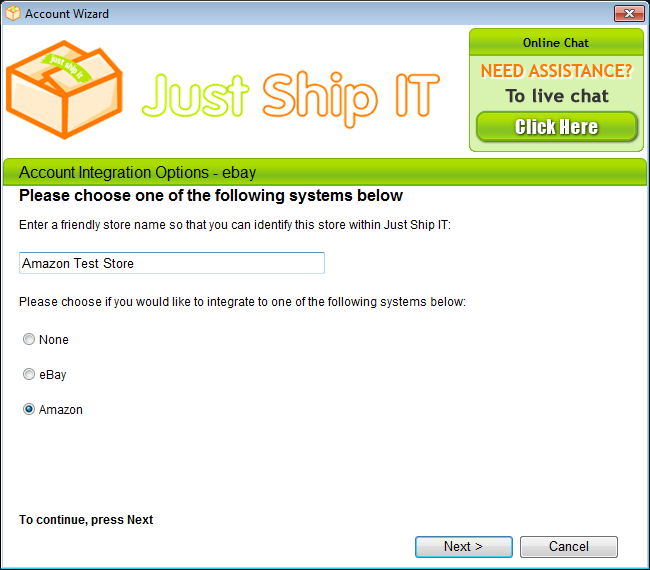 Click on the Just Ship It icon on your desktop and choose the setup button from the login screen. 2. Sign in or setup an account. 3. Click 'Add another store'. 4. Choose the Amazon radio option and make sure you name the store in the text box provided and click "Next". 5. 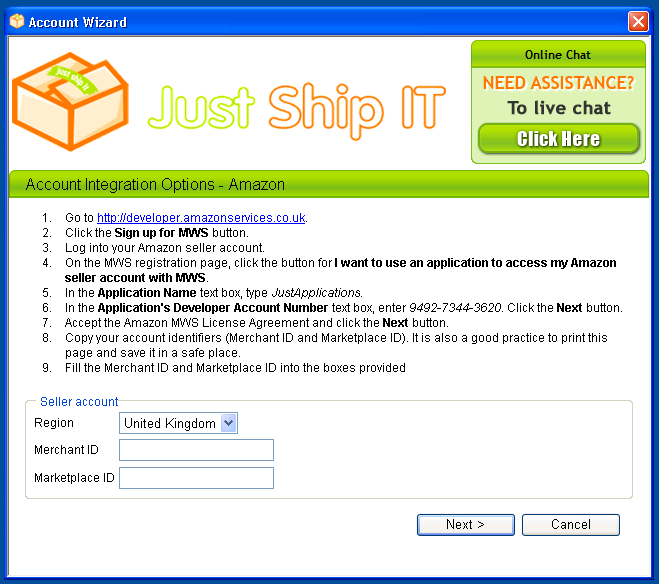 Please add your Amazon credentials into the boxes supplied, click 'Next'. 6. Fill your contact details and specify your VAT options. 7. 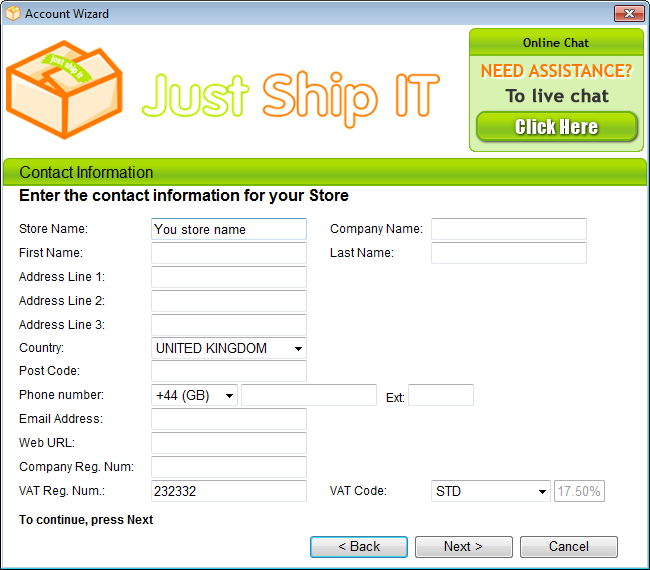 Click 'Continue' on the Just Ship IT popup form. 8. Once JustShipIT has loaded please wait whilst your Amazon inventory is downloading. 9. On the toolbar click 'Inventory'. 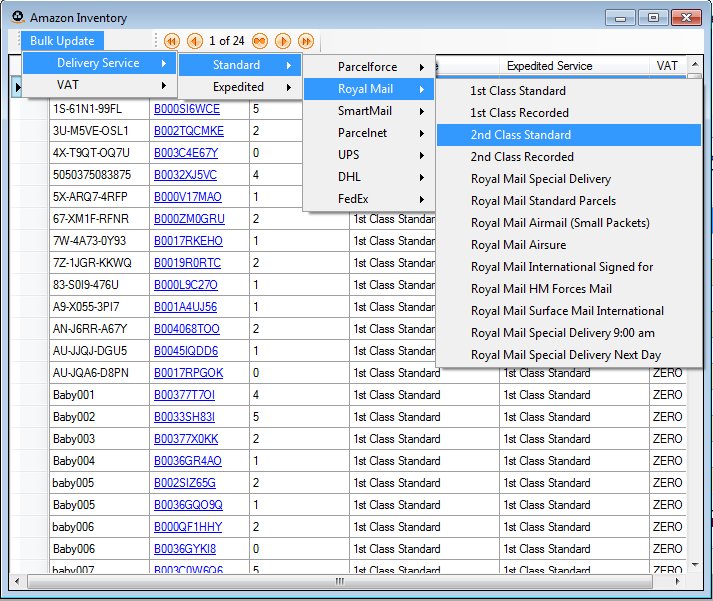 and set up standard and expedited delivery service (You can bulk set this or per item update). 11. Click 'Download' to get all your orders from Amazon. Please be patient if you are retrieving orders from 30 days or more. The bottom status bar will say 'checking for updates...' once Just Ship IT has completed the status bar will change to 'Install updates'.